For Burj Al-luqluq Football Team Sponsorship Burj Al-luqluq Social Center Society Organizes the World International Soccer Tournament. Burj Al-Luqluq Social Center organized a tournament in Jerusalem to support the 15 Jerusalemite boys whom are going to participate in the international soccer tournament in Copenhagen- Denmark. 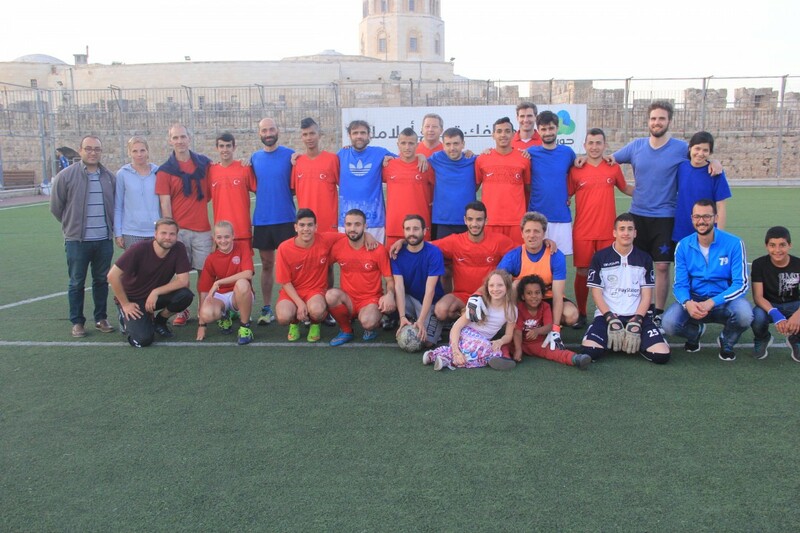 The Tournament started with a participation of seven foreign teams which are the Danish, Italian, French, American, Oxfam and NCR institutions and the Jerusalemite local Burj Al-Luqluq team. The Tournament started at 3:00 pm on Burj Al-Luqluq Pitch. The executive manager Muntaser Idkaidek, the Sports advisor Nihad Zughaiar and the Project Coordinator Aya Sbitan attended the event. Burj Al-luqluq volunteers participated in the event and were presenting entertaining, artistic and food services, which were given in exchange of tickets. The services provided were; drawing on faces, free drawing activities, selling sweets and nuts, entertaining games for children and other services for participated foreign children. The Tournament went on with high competition and spirits. The semi-final contained four teams including NCR, Burj Al-luqluq, Italy and the Danish Team, and the final match was between the Italian team and Burj Al-luqluq team which was ended for Burj Al-luqluq as the champions of this tournament.